The British-drafted Constitution contains several provisions whose relevance to an independent Jamaica has long been questioned. Indeed, the very process by which the current Constitution was drafted highlights the need for a new Constitution, one that has evolved out of a period of consultation in which all Jamaicans have had an opportunity to participate. The following discussion highlights three particular areas, relating to the republic, the judiciary, and citizenship, that merit reform. Executive authority of Jamaica is currently vested in Her Majesty the Queen (left), pursuant to Article 68 of the Constitution of Jamaica, and it is exercised by her appointed representative, the Governor-General. (image credit) Among other functions, the formal assent of the Governor-General, who is the nominal head of Parliament, is required for Bills of Parliament to become law. ► Support of the majority of those voting in a national referendum held within a two- to six-month period after passage of the Bill to amend. 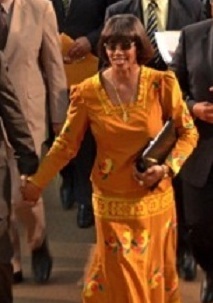 Control by the People's National Party, Simpson Miller’s ruling party of the Parliament, having secured exactly two-thirds of the Parliamentary seats, makes the first criterion reasonably attainable. However, success in a referendum will most likely require extensive public education and mobilization. There has been no recent polls to capture the opinions of the Jamaican electorate on this matter, but a 2009 attempt by St. Vincent & the Grenadines, a Caribbean neighbor in a similar position, suggests success should not be taken for granted. Only 43.13% of Vincentians voted in support of the proposal to replace the constitutional monarchy with a republic. The question of what would take its place is also a divisive issue – a strong executive similar to what exists in the United States, or a ceremonial President appointed by the ruling Party? The political stalemate created in Caribbean neighbors that have made this transition, most notably Trinidad and Tobago, has flagged the negative consequences of taking the wrong path on this issue. 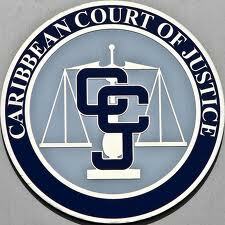 As with many of its Caribbean neighbors, Jamaica’s court of final appeal remains, under Article 110 of its Constitution, the British-based Privy Council. The Revised Treaty of Chaguaramas Establishing the Caribbean Community Including the CARICOM Single Market & Economy (2001) created a regional Caribbean Court of Justice. Seated in Port of Spain, the capital of Trinidad and Tobago, the regional court has exclusive and original jurisdiction to interpret the treaty and to replace the Privy Council as the court of final appeal. The Privy Council’s role is also entrenched in Jamaica’s Constitution. Amendment of this provision also requires the support of two-thirds of the bicameral Parliament under Article 49, although no referendum is required. The Jamaica Labour Party, the country’s other major party, has not been an enthusiastic supporter of the Caribbean regional integration process or of the Caribbean Court of Justice. Both in the opposition and the previous government, the Jamaica Labour Party expressed its preference for establishing a national court of final appeal. This position, in turn, has generated the criticism of those supportive of judicial reform and wary of the rising political influence on the courts. While a few persons would see this as a reason to keep the Privy Council, there is increasing support for its removal. On this issue also, the People's National Party’s recently received mandate and command of Parliamentary seats makes it well-placed to finally advance this issue. 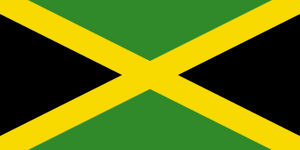 Like many of its Caribbean neighbors, Jamaica’s Constitution establishes the concept of “Commonwealth citizen”, namely the citizen of Jamaica and of any other Commonwealth nation comprising the collective of the United Kingdom and its former colonies. 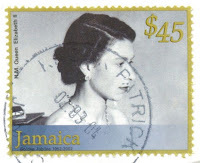 According to Article 12(1) of the Constitution of Jamaica, an “alien” is any person who is not a Commonwealth citizen. Eligibility for elected office is restricted under Article 39 to a Commonwealth citizen aged twenty-one or more who has established residency in Jamaica for the twelve-month period preceding his or her nomination. The practical application of this provision has been that Jamaicans who have lived their entire adult life in Jamaica and held a Jamaican passport, as well as the passport from a non-Commonwealth country, have been forced to choose between running for office and their dual citizen status. Four Jamaica Labour Party and two People's National Party members were faced with this prospect after the 2007 election, and this issue again reared its head in the recent 2011 election. Meanwhile, a person who was born and raised in New Zealand, for example, would be eligible for election in Jamaica after a twelve-month period of residency, even without holding a Jamaican passport. Fairness would require either a provision that placed an outright ban on the eligibility of all dual citizens for elected office, or an approach to the concept of dual citizenship which does not arbitrarily include persons based on an accident of birth in a country holding colonial nostalgia. This entrenched provision also requires the two-thirds support of the bicameral Parliament for amendment, and unlike the other issues holds positive implications for both sides of the aisle. While Simpson Miller spoke only of replacing the Queen, the fact that all of the amendments discussed here will require the assent of the Governor-General is testament to the urgency of constitutional reform. Given the challenges involved and required effort in taking this one step, Simpson Miller should embrace these broader questions and move to bring the constitutional framework into one appropriate to Jamaica, a country that this year will celebrate its fiftieth year of independence. Great article! I think citizens of the Caribbean Commonwealth think there is some economical benefit to being a part of this body - is there? The under-development of the US and British Virgin Islands in comparison to Jamaica suggests that this is not so. Suzette, thanks for your feedback and comments. The independent countries of the Caribbean Commonwealth receive no subsidies or support from England; the autonomous territories, such as the British Virgin Islands do. It should be noted that status as an independent republic would not affect the ability to remain part of the Commonwealth of Nations, which functions as an international organization of sovereign countries with shared values. Australia and Canada, for example, are Commonwealth members.